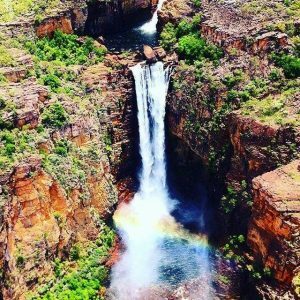 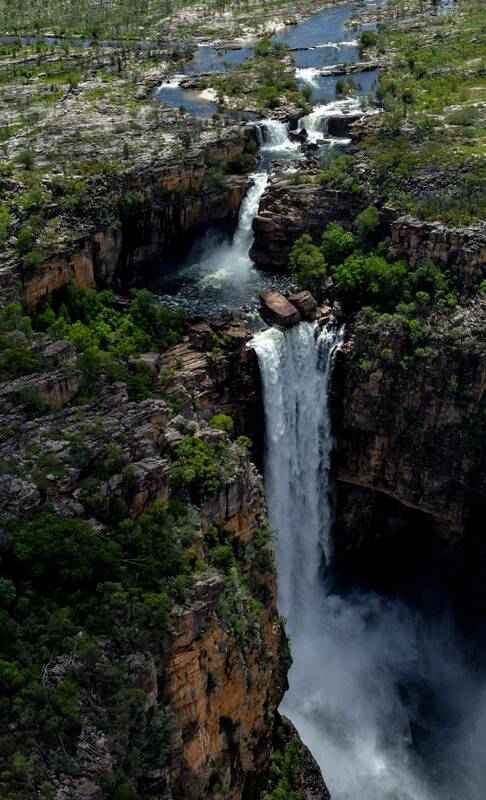 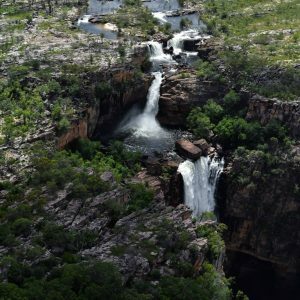 This 60 min Kakadu Scenic Flight will take you over Jim Jim and Twin Falls in the wet season when that area is inaccessible by road. 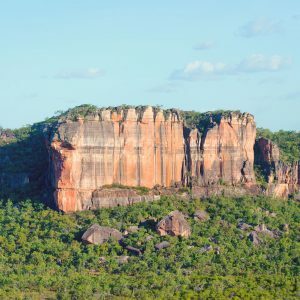 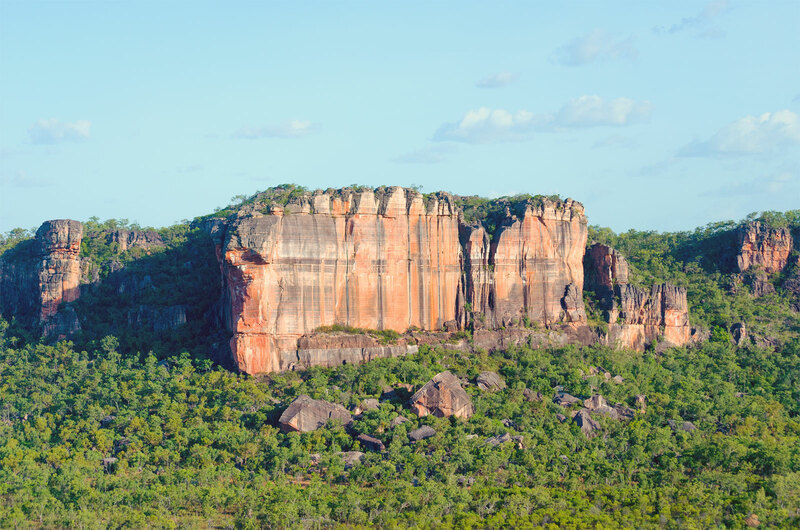 The flight over Kakadu National Park heads south, passing the Ranger Uranium Mine, across Mt Brockman and along the escarpment to “Lightning Dreaming” hearing about this fascinating Indigenous Dreamtime story. 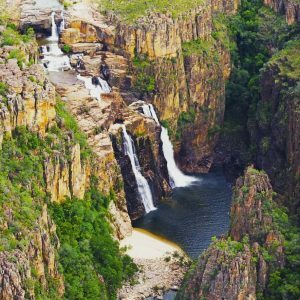 After crossing Deaf Adder Gorge, we take in the beautiful Double Falls, a spectacular introduction to the waterfalls of Kakadu National Park. 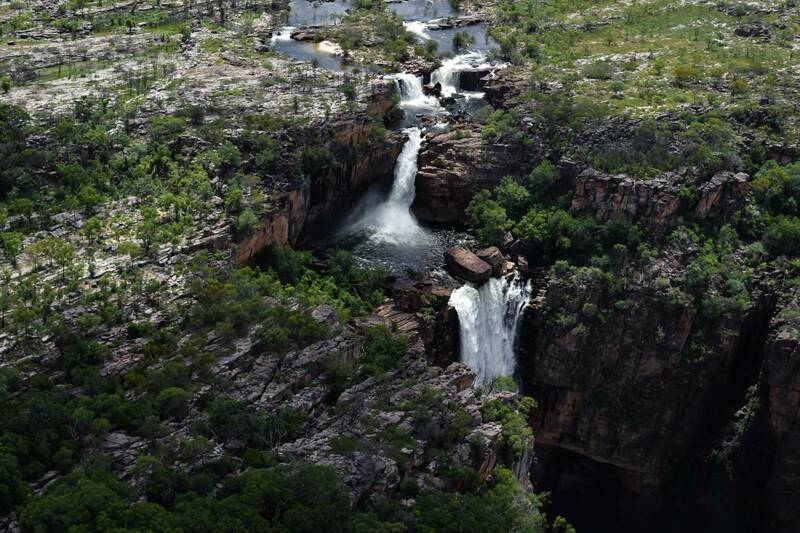 Continuing south, we fly across the Arnhem Plateau until it drops away revealing the breathtaking Jim Jim Falls. 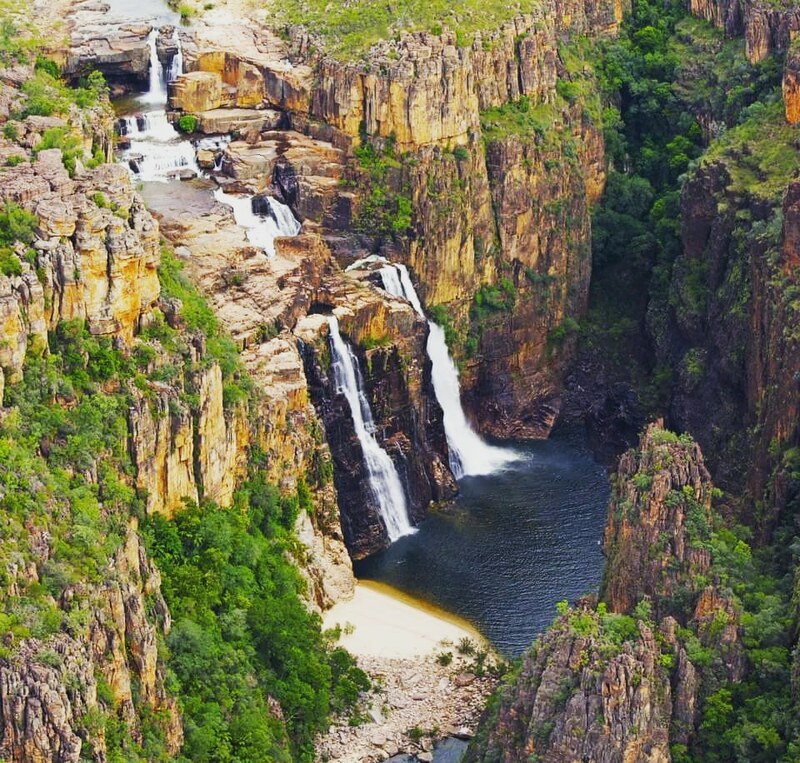 Fly on to Twin Falls, with its two distinctive flows and narrow gorge entrance. 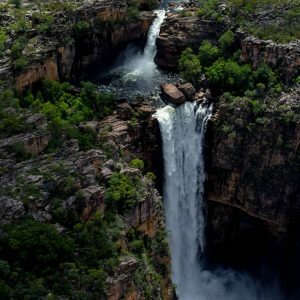 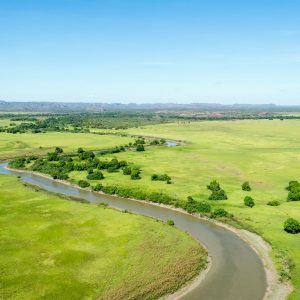 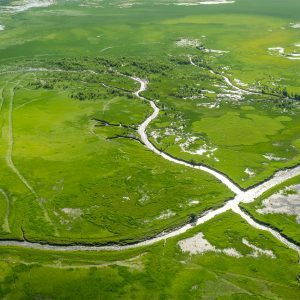 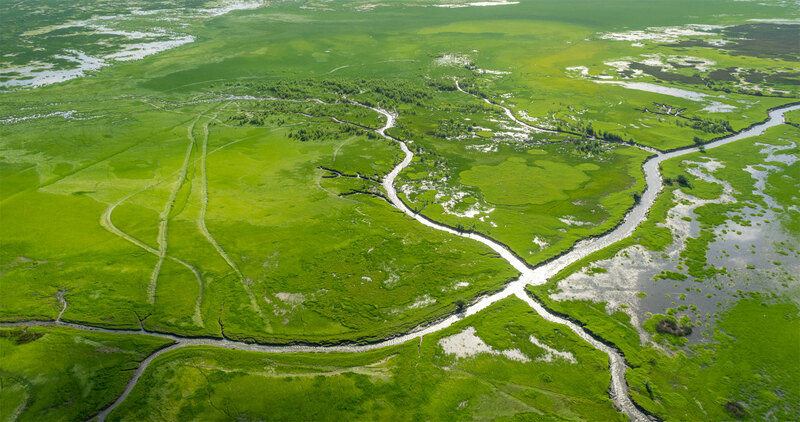 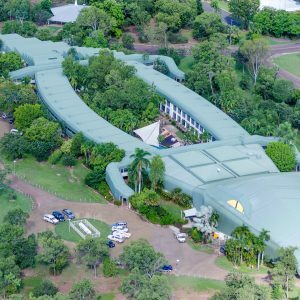 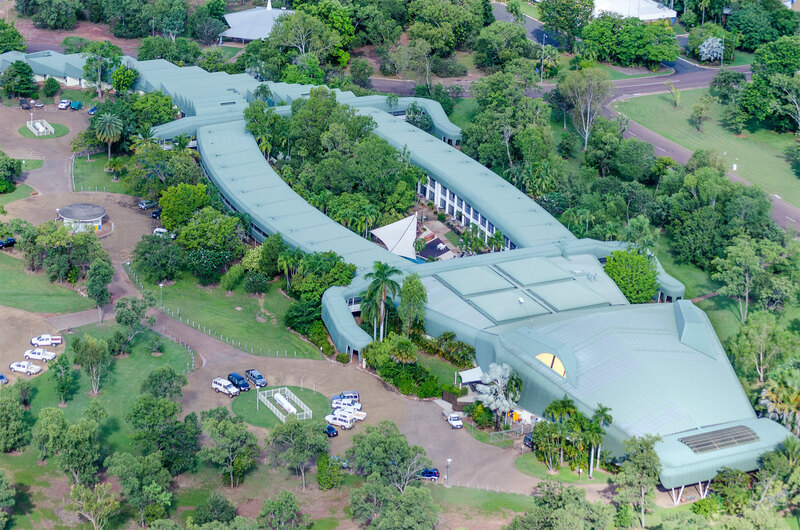 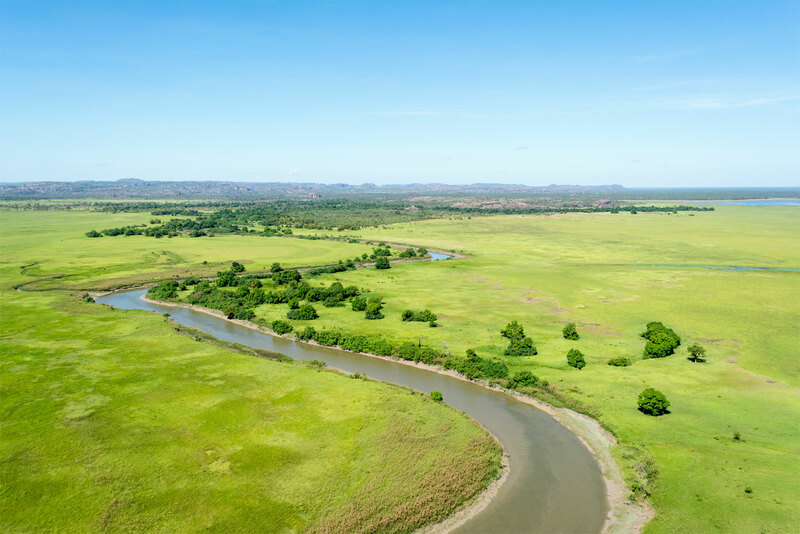 Note: Kakadu flights operate over the northern end of Kakadu National Park once the falls are open by road the 1 hr scenic flight will take you over Magela Wetlands, East Alligator River & Dinosaur Valley.